This new family of fiber sizings illustrates Michelman’s commitment to carbon fiber manufacturers and will allow the composites industry to leverage carbon fiber’s unique benefits of high strength and stiffness; and help it further exploit the traditional benefits of composites: design freedom, consolidation of parts, and integration of functionality while meeting light-weighting initiatives. Michelman is a leader in the production of innovative and novel water-based functional dispersions and emulsions of polymers, resins, and waxes. Its line of Hydrosize products are used as lubricants, film formers, sizing agents, and binders during fiber manufacturing and composite processing. Michelman will introduce attendees at CAMX 2018 to its new product family of Hydrosize® Carbon fiber sizing solutions. This new family illustrates Michelman’s commitment to carbon fiber manufacturers and will allow the composites industry to leverage carbon fiber’s unique benefits of high strength and stiffness; and help it further exploit the traditional benefits of composites: design freedom, consolidation of parts, and integration of functionality while meeting light-weighting initiatives. 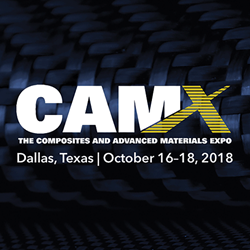 CAMX is being held October 15-18, 2018 at the Kay Bailey Hutchison Convention Center in Dallas, Texas. Michelman will exhibit in booth #F59.